I took advantage of a sale on Craftsy today to sign up to a couple of sketching classes. The first one goes by the snappy title of “Essential Techniques for Sketching the Energy of Places” (by James Richards). I hope to overcome my aversion to sketching people and cars in scenes by the end of the course! In the meantime, here’s a nice people-free street to practice one-point perspective. Oh, I love this one! 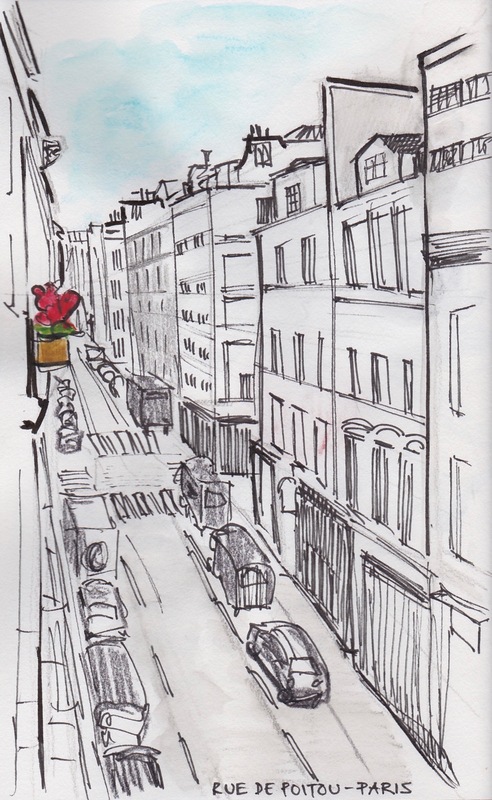 The little pot of red flowers above the gray and white street! Just great! Thanks Claudia! I’ve missed drawing, sometimes you just have to start again to get the mojo back.